Blue Science transforms backyards into stunning outdoor living environments that make you proud to be a Dallas homeowner. Your family's dream of enjoying a custom pool, spa, and patio is what makes us love building pools so much! We believe the construction process should be an exciting, fun, and stress free experience. With more than 25 years in the swimming pool industry, the Blue Science Allen team of designers, managers, and consultants deliver this experience to your pool project. You deserve nothing less. Blue Science of Allen designs swimming pools with a philosophy that your pool should complement the architecture of your home, blend with the natural environment, and serve the particular needs of your family. We have design consultants to walk you through designing, constructing, and creating the pool of your dreams. 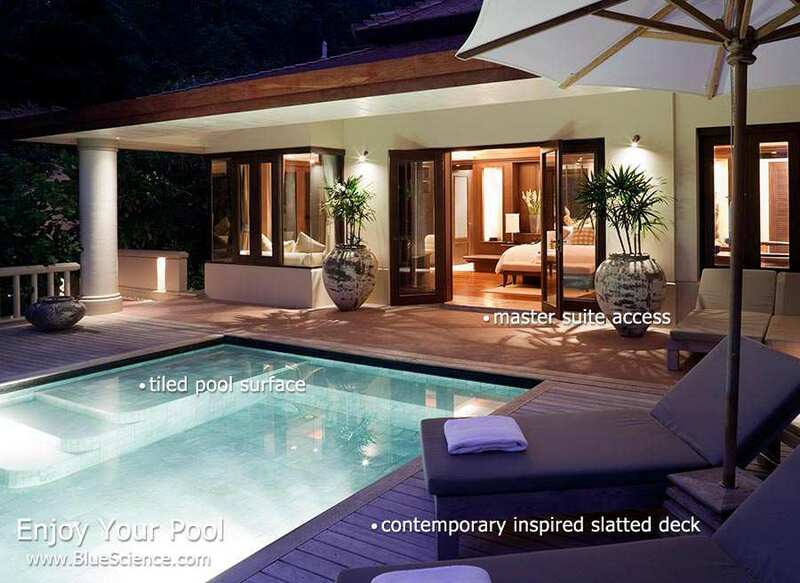 Marvelous tiled swimming pool with contemporary wood slatted deck and master suite access. Marvelous vanishing edge swimming pool with crave stone interlocking deck. 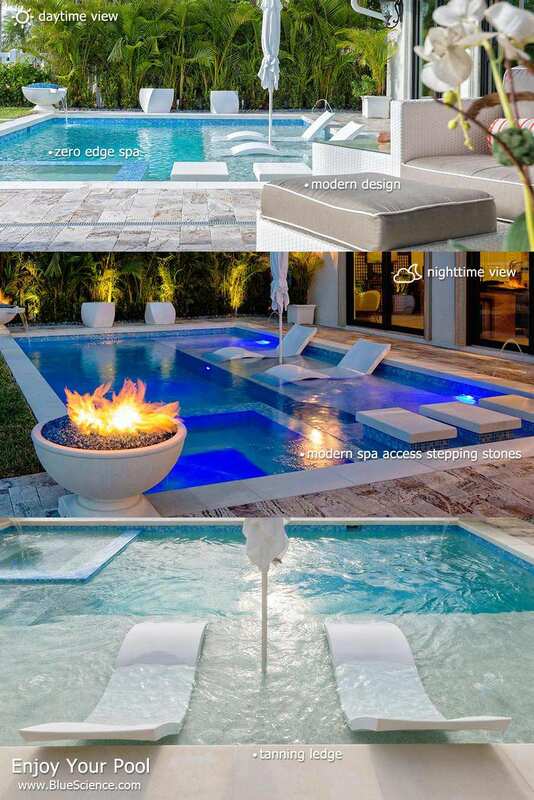 Brilliant modern swimming pool design with zero edge spa, tanning ledge and white cube access stones. 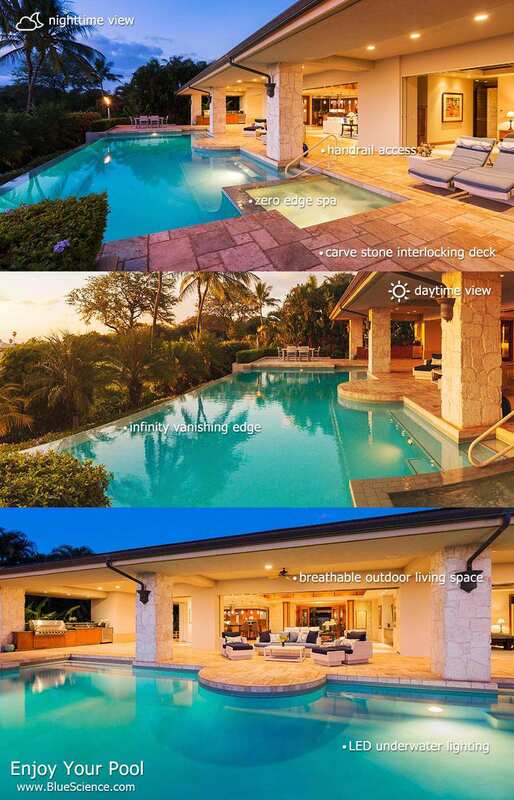 Luxurious free form pool with tanning ledge, stone rock grotto and travertine deck. Blue Science is a Allen pool builder that seeks to build a lasting, long-term relationship with you and to be your one-stop pool company for everything your pool needs both before and after the construction process. During construction we will be a pipeline of information delivering you guidance and leadership while being mindful of your ideas, budget, and deadline. Allen residents sure do love to customize their backyard spaces. Pool features give your outdoor environment additional comfort, utility, and efficiency. 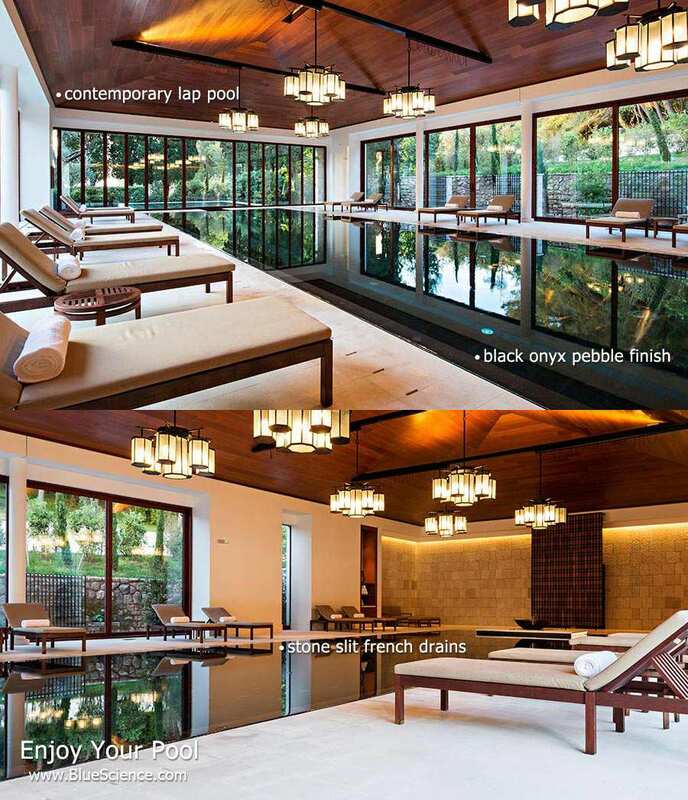 Whether it's pool automation equipment to ease use or night time lighting to improve visibility, pool feature options are endless and our designers know them well. Allen is located within Collin County, Texas. The city's area is completely land based, having only a few ponds and spans over 26 square miles. Allen is considered a rich suburb having a median family income over $100,000. The population of this northern Dallas city is over 80,000. Attractive city amenities include a 27-hole golf course, aquatic center, and an extreme sports park. The City of Allen has a large aquatics program offering scuba diving training and a few Red Cross lifeguard certifications. The city's largest public swimming pool is the Ford Pool. 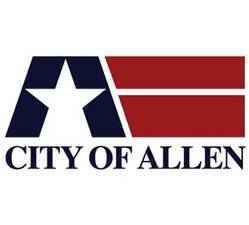 Allen is home to over 87,473 residents covering around 26.3 sq. miles. Here in Allen one can come and see several professional sports teams such as the Indoor Football team the Texas Revolution or the Minor League Hockey team the Allen Americans. Allen also provides its citizens an active arts scene complete with an orchestra, art studio, and even a ballet company. We have many customers in Allen currently and through their strong support of our services we have continued to grow in this city. When providing pool repairs and equipment installations in Allen, we use only supplies and parts from top pool companies.